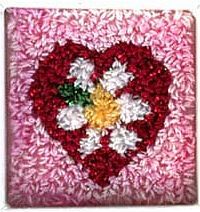 Punchneedle is the new favorite technique amongcross stitchers, quilters, and embroiderers. 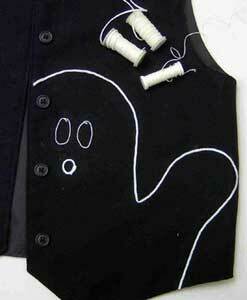 It's like making hundreds of tinyknots, coloring in lines on fabric with thread. The thinner Kreinik metallicthreads like Blending Filament are easy to use with punchneedles, and they add atouch of sparkle to make your design more exciting. 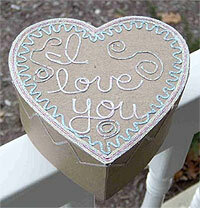 This month we feature aquick little project that would make a sweet Valentine's gift or weddingpresent. 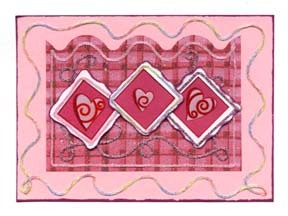 Satin Ribbon: 1/8" x 24"
Click here to download the FREE instructions for this design. You will need the Adobe Reader to view and print this file. If you have trouble downloading this file and would like us to send you a printed copy send a #10 SASE to: He Loves Me, He Loves Me Knot, P.O. Box 1258, Parkersburg, WV 26102. 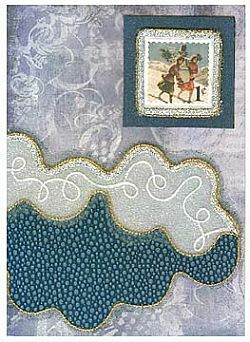 © Copyright 2006 Aunt Susie'sHouse & Kreinik. 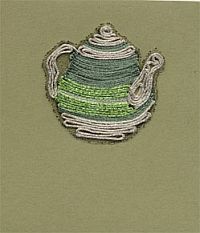 For more information on Susan Davis's punchneedle designs, visit www.auntsusieshouse.com.